Off-roaders revel in tearing up the North Desert area after rain and snow, creating rutted mud pits for fun. If you want tourists, friends and family to see the best our area has to offer, whatever you do, don’t take them up 27 1/4 Road into the desert north of H Road. While the panoramas from the north desert area are spectacular, this formerly stark and beautiful range of mancos shale hills running along the base of Grand Junction’s iconic Bookcliffs is now defaced from virtually end to end with trash dumps, mud ruts, shotgun shells and makeshift religious memorials to people who have died out there in accidents. What used to be a marvelous place for a long, peaceful walk with your dog, is now so disappointing it tries the soul. Since the shooting range opened several miles out on 27 1/4 Road, and since the North Desert started being included on OHV (off-highway vehicle) maps, the area has turned ugly. It’s also a more dangerous place for peaceful users, like walkers, bikers and horseback riders. 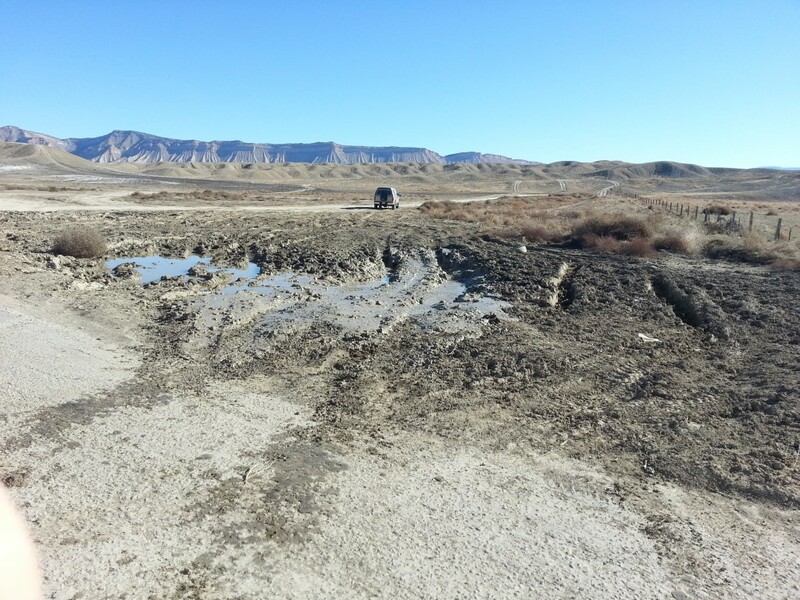 OHV drivers revel in tearing through muddy areas after rain and snow, creating rutted mud gullies. People routinely dump their old TVs, beds, sofas, snack litter, beer cans, mattresses computers, cigarette butts and booze bottles out in the north desert. Volunteers who clean up the desert can no longer keep up with it. It’s now impossible to avoid coming across multiple piles of trash when hiking in the area. 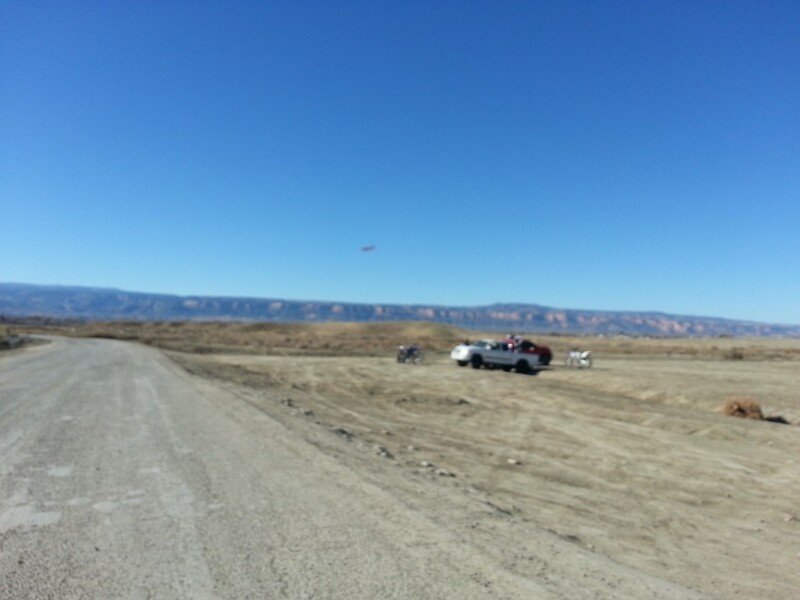 directly underneath the landing and takeoff pattern for airplanes using the Grand Junction Regional Airport. BLM euphemistically calls this random gunfire “dispersed shooting,” but it means anybody can shoot virtually anywhere out there, and there is absolutely nothing protecting hikers, bicyclists or aircraft from wayward gunfire. Don’t delude yourself into thinking that it’s safe out there. People have gotten shot in the north desert. In 1992, a man with a gun riding an all-terrain vehicle drove up and shot two women who were taking their morning run in the desert. Both women were wounded, but survived the attack. If you used to love the North Desert for peaceful recreation and spectacular views, it’s time to say goodbye to it. The area’s wide-open landscape and panoramic views used to make it a jewel of our area, but it is now well on its way out, as the area is increasingly scarred by hordes of people who don’t care about keeping it nice for future generations.